Our Custom Wood Countertops Blog features the industry’s most talented and innovative designers throughout the United States and abroad. 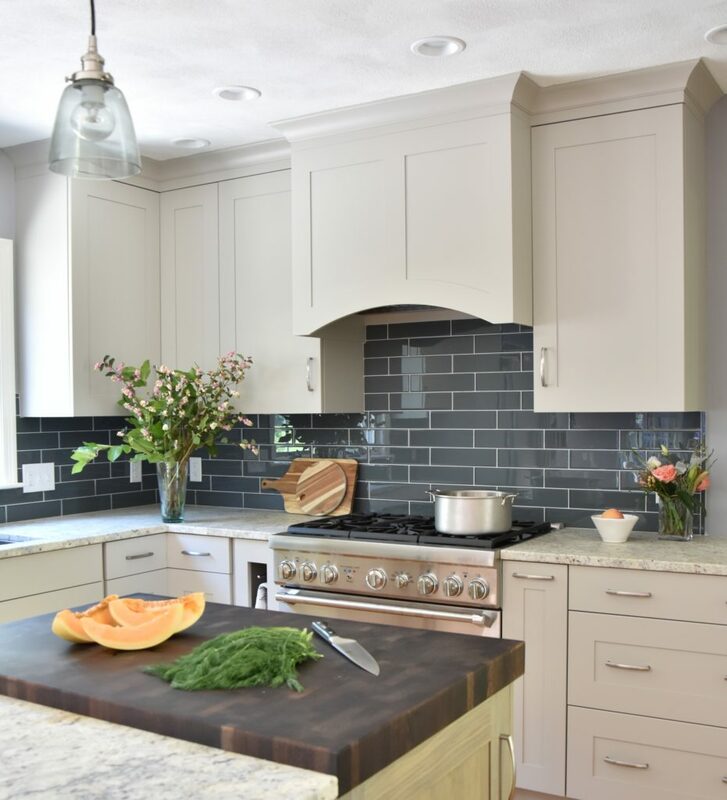 This featured kitchen includes a Wenge Butcher Block designed by Kate Connolly of Homestead Kitchens. About the Designer: Kate Connolly is an interior designer, mother of 2 little girls, aspiring yogi and art lover. 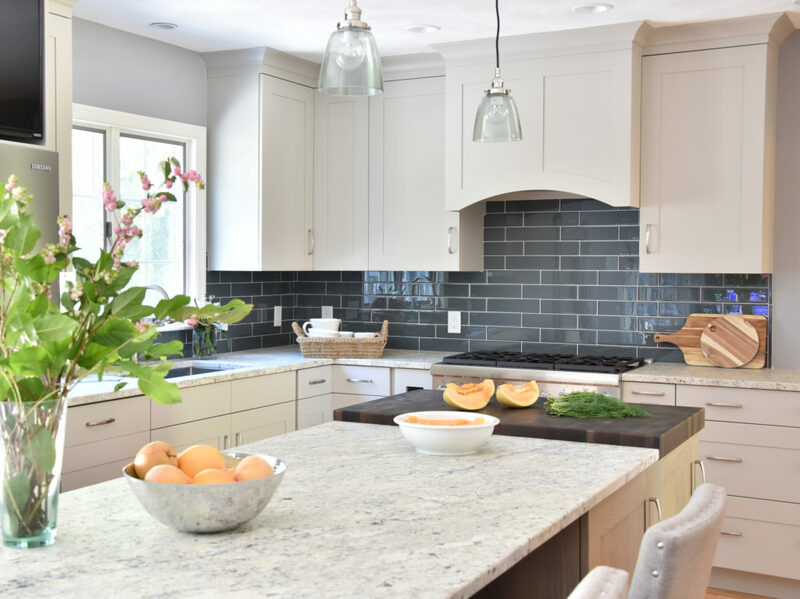 She has been designing kitchens professionally for 20 years, collaborating with clients in suburban New England. 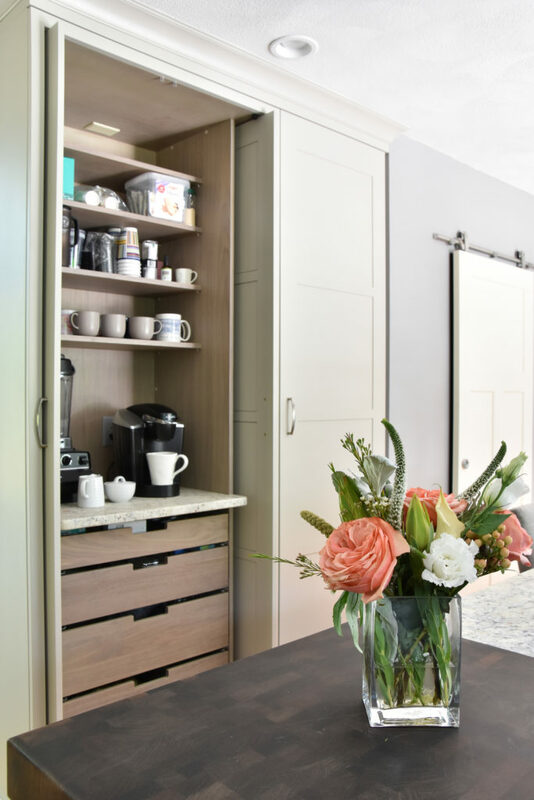 Kate loves piecing together client’s wish lists into functional spaces making their everyday life easier; playing with colors and textures creating a cohesive space that her clients feel at home in. Kate and her husband, Kevin, opened their business, Homestead Kitchens, twelve years ago. They work together with wonderful employees in a beautiful 1904 house where every room is filled with inspirational kitchens. 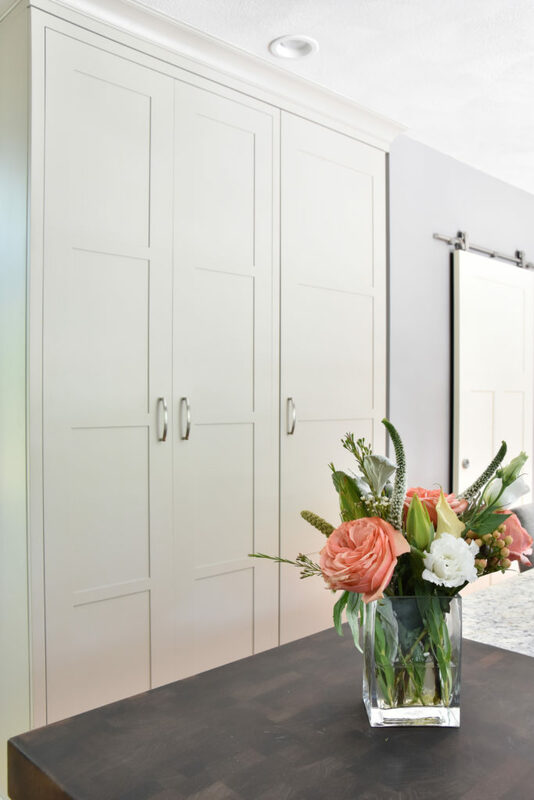 A Tip from Kate: Think about how you want the room to feel whether it’s formal/fancy, clean/uncluttered, fresh/modern/trendy or warm/comfortable. Then create a focal point by letting one or two items stand out (in this kitchen it is the tile backsplash and the Wenge butcher block). Additional Comments and Advice: The clients wanted to omit the kitchen table and have a large island with seating for informal family meals and entertaining. To avoid a seam on the island, we opted for a gorgeous Grothouse Wenge butcher block top at one end. It was not only practical (the perfect spot for food prep), but adds another layer of texture and interest to this mostly monotone kitchen. View additional projects by Homestead Kitchens on their website, Houzz, Instagram, Facebook and Pinterest. To see more designs including a Wenge Butcher Block, visit the Grothouse Countertop Image Library. 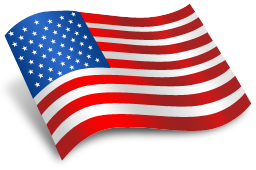 Stay up to date with Grothouse news and announcements by liking our page on Facebook. 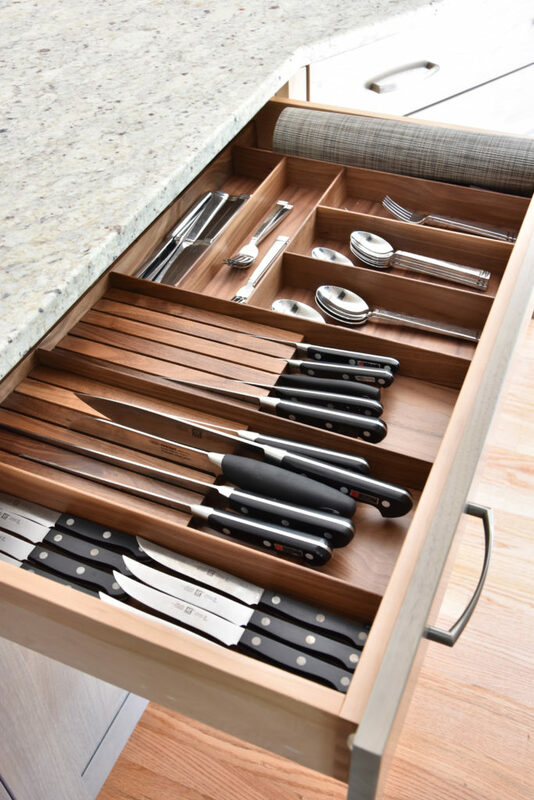 This entry was posted in Butcher Block Countertops, Butcher Blocks, Butcherblock Countertops and tagged Butcher Block Countertops, butcher block cutting board, Butcherblock Countertops, butcherblock kitchen countertops by Denise Grothouse. Bookmark the permalink.